Im working in cambridge heights today i cant believe how affordable some of these units are now, call me if your thinking about selling your townhome in nutley. I have clients looking! This great I can update my blog while I’m running around nutley! Though home inspections are often part of the home buying process that is not the only time you may look to the abilities of a professional inspector for your needs. When making large additions to your home or trying to put your home on the market with accurate information about the state of things like your roof or furnace, professional inspectors can also offer their services. Foundations, roofs, major appliances and other aspects of your home can be subjected to professional inspection to ensure that they are in the proper working order. While the professional is usually the best decision in most cases where legal issues come into play such as a home sale or purchase and permitting for new structures on your land, simply doing a first inspection yourself can sometimes save you the hassle of having multiple inspections. Your roof is something that you can usually take a look at and pinpoint areas that need to be improved. Do you have shingles that are damaged or out of place? Is there anywhere on the roof where you can see through the outside shell? These may seem like common sense issues to address, but they are the kind of common sense issues that a professional inspector would point out as well. You don’t need to wait for a professional inspector to tell you to fix a broken roof. Take the initiative and make an effort to get your home in good shape before the professional inspector is called. During a home selling process, this can leave you with fewer issues to discuss later as part of a contract negotiation. In addition to the roof, there is certainly something to be said for simply eyeing the exterior of your piece of real estate. If there are cracks in any of the outside walls, especially near the base, those will need to be looked at and probably repaired. Again, these are common sense tips but steps that can often be overlooked during the frenzy of buying or selling a home. When legal agreements start to come into play, such as during a home-buying process, a professional inspector is usually required to come out to the home and look over the property in its entirety. During any deal when you purchase a home that is already built, there will inevitably be some issues that come up during inspection and it is then up to your realtor to work out a deal to remedy those situations. On the minor side, these inspections can turn up things like small cracks in interior walls or wood working that needs to be tended to, but they can also turn up big problems such a shaky foundation or substandard furnace. Furnaces tend to be a hotspot (no pun intended) for inspection issues because most people don’t have the knowledge to accurately appraise a furnace on their own. No matter what kinds of issues an inspector turns up, they are all then fair game for the negotiating process and often times an agreement will be hammered out as to what the seller must repair or replace before a deal can be consummated. Real estate transactions are themselves a long negotiation and the home inspection is just one step on that process. So, as you get ready to sell your home or perhaps undertake a smaller endeavor like periodic repairs, know that you can save some time and effort by going through and looking at the key parts of your piece of real estate yourself and remedying situations before professional inspectors ever need to get involved. The periodic upkeep of your property will yield dividends later when the professional shows up and has nothing to report. A blank inspector clipboard is the positive result of strong personal inspections and upkeep. If you owe more than the home is worth, this is not an option for you. Deed in Lieu means that you give up the house to the bank and walk away. Ie, you give up the deed instead of facing foreclosure. If you owe more than your home is worth, and don’t want to declare bankruptcy or face foreclosure, then a short sale of your home is the best option. A short sale does have potential tax implications. As a local Nutley Professional Realtor I have my finger on the pulse of the current market place and even in today’s home selling environment our agency has had much success in marketing properties in Nutley, Belleville, Clifton and Bloomfield, I realize that communication and exposure, exposure, exposure will get your home sold in the quickest way possible. If you list with me I also give you a weekly progress call so you are always kept in the loop on the sale of your home. I do have a very aggressive marketing plan with a very strong on-line presence combine that with the National Brand of COLDWELL BANKER and you have a winning combination, so if you ready to sell call me at 862-228-0554 and we can set up a NO OBLIGATION marketing appointment. Coldwell Banker Residential Brokerage is your source for Nutley, Belleville & Clifton real estate. If you own real estate that you’re thinking of selling, I would be happy to provide you with a FREE Home Evaluation. In today’s competitive real estate market, timing is everything. Many good homes are sold before they are ever advertised. Beat other homebuyers to the hottest new homes for sale in Nutley, Belleville & Clifton with my New Listings Notification. Whether you are buying or selling a home in Cambridge Heights, Essex Park, Riverwalk or Cambridge Crossings, hire someone like me, who wants to earn your business. I invite you to contact me as I’d be happy to assist you with this important transaction. 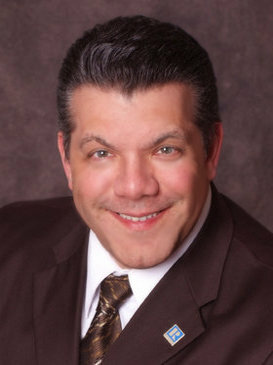 In addition, if you have any general questions about buying or selling real estate in Nutley New Jersey, please contact me as I’m more than willing to help. I specialize in first time home buyers in NUTLEY, CLIFTON & BELLEVILLE New Jersey. The home buying process can be a very confusing experience to first time home buyers our first meeting will be at my office where will explain to you “the home buying process” as a professional I have consulted with many first time home buyers and I can give you the references to prove it, call me at 862-228-0275 to set up your FREE Home Buying Consultation. Coldwell Banker Residential Brokerage is your source for Nutley real estate. If you own real estate that you’re thinking of selling, I would be happy to provide you with a FREE Home Evaluation. In today’s competitive real estate market, timing is everything. Many good homes are sold before they are ever advertised. Beat other homebuyers to the hottest new homes for sale in Nutley with my New Listings Notification. Experience The Coldwell Banker Residential Difference!